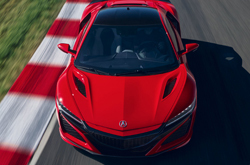 With the 2019 NSX, Acura delivers a top of the line mid-engine sports car. 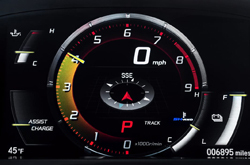 The NSX features updates to its hybrid system, magnetic ride suspension, power steering, and stability control combined with the upgrades to the chassis, creating an awesome experience that must be test driven to be believed. The 2019 NSX is designed not to disappoint in any way. Acura added new paint colors for NSX, including Thermal Orange Pearl. Whether choosing Curva Red, Thermal Orange Pearl, or a classic Berlina Black, the exterior works with the interior. 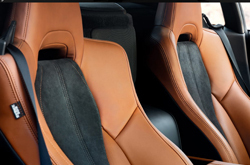 The interior options include Ebony, Orchard, Saddle, or Red, depending on how much the driver wants the interior to stand out. Acura also took the standard kit to the next level. Every NSX now includes 4-way power seats and aluminum sports pedals for optimal driver comfort. As for more day to day concerns, Acura included navigation in every car. Additionally, every NSX includes ELS Studio premium audio for a smooth listening experience. The powertrain output of the 2019 NSX is 573 horsepower coming from a twin-turbo 3.5L V6 engine. With a 9-speed dual clutch automatic transmission, driving becomes more fun again. Combined with the electronic motors on each axle providing variable torque, the car leaps to handle different driving surfaces with ease. The NXS, with its changes, offers more than can be expected from a mid-engine sports car. Acura made safety their mission with the NSX. The car features front, side, overhead, and knee airbags combine with seatbelt pretensioners, decrease the risk of injury should a collision occur. 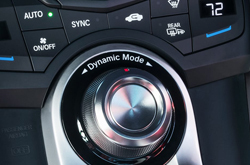 Anti-lock brakes and stability control also add much safety to the driving experience in inclement weather. Proximity sensors are now standard. 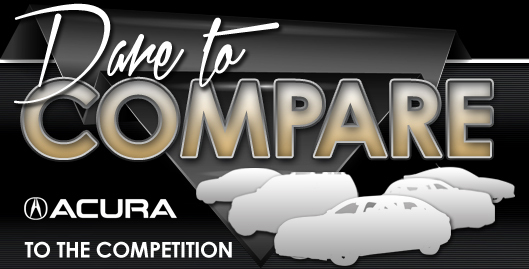 This is one of the reasons Acura became the first luxury brand to get top safety ratings across an entire line. Head out to Vandergriff Acura in Arlington, TX to test drive the 2019 NXS! *Get Today's Price is available to all customers and can also be obtained by calling or coming into the dealership today. Purchase prices do not include tax, title, license and $150.00 doc fee. Prices include the listed incentives. Please verify all information. We are not responsible for typographical, technical, or misprint errors. Inventory is subject to prior sale. Contact us via phone or email for more details. *MPG Based on 2019 EPA mileage ratings. Use for comparison purposes only. Your mileage will vary depending on driving conditions, how you drive and maintain your vehicle, battery-pack age/condition, and other factors.